For this 978,760-square-foot high-tech manufacturing and office complex, Brightworks is using master site and group approaches in its LEED Gold Core and Shell program. Brightworks is also providing energy analysis and energy modeling for the complex. 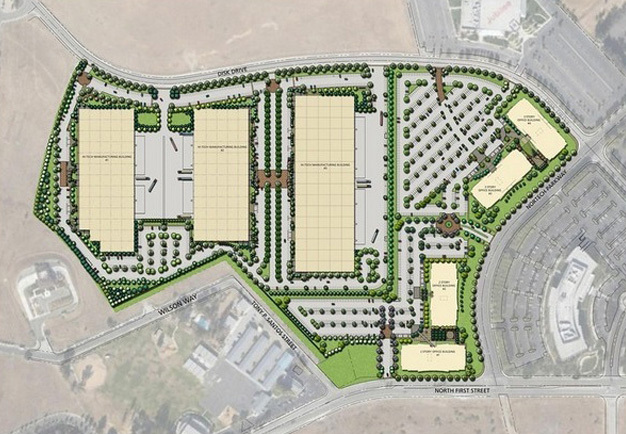 A partnership with Principal Real Estate Investors, Trammell Crow Company’s Midpoint@237 development brings 978,760 gross square feet of office and high tech manufacturing facilities to a market in need of quality warehousing and manufacturing space. 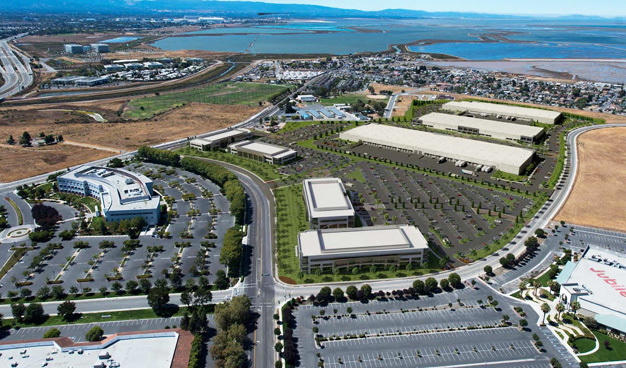 Midpoint@237 is the only available industrial site of this magnitude in Silicon Valley, and will be the first modern, Class A industrial development built in San Jose in over 15 years. Using master site and group approaches to the LEED program, Brightworks is managing the Gold certification under LEED Core and Shell of all seven buildings. Additionally, Brightworks is also providing design phase energy analysis, 2013 Title 24 compliance modeling, and LEED energy modeling to demonstrate compliance with Energy & Atmosphere Prerequisite 2 and earn credits under Energy & Atmosphere Credit 1. Energy analysis during the SD, DD, and CD phases help the owner and design team set energy performance targets, identify energy efficiency measures, simulate results, and provide design guidance based on the relative and absolute impact of various sustainability strategies. One of the first sustainability consulting firms in the United States, Brightworks Sustainability has enjoyed a position of leadership and innovation in sustainability since its founding in 2001. With deep subject matter expertise, advanced technical resources, creative problem solving, and a commitment to excellence, we help our clients establish and implement operational sustainability programs that further their sustainability goals, reduce their environmental footprints, and increase their operational performance. Copyright © 2001-2019 Brightworks Sustainability Advisors. All rights reserved.